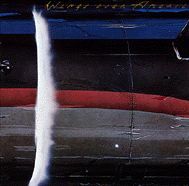 Paul McCartney "Wings Over America"
I want you to listen to me! You've got some pretty soily company. And a plumber with a fattened hog. The cat in satin trousers said it's oily. We've got some pretty soily company. And a commie with a tommy gun. Oh you had better go now. Before you see me cry. Just what you intend to do now. I don't want to see you go. Can't you see I want you to stay? With political connections to spread his wealth around. He had everything a man could want: power, grace, and style. Richard Cory at the opera, Richard Cory at a show. And the rumor of his parties and the orgies on his yacht! Oh, he surely must be happy with everything he's got. "Richard Cory went home last night and put a bullet through his head." If I have to run, I'm not runnin' out on you. I'm runnin' from the law, or they'll put me inside. Baby, won't you let me have a little time to hide. Runnin' from the days when I would lay me down and cry. Will I love you tomorrow? Oh yes I will, my love. Will I beg, steal or borrow? To spend a little time happy to be by your side. Who finds the money when you pay the rent? Did you think that money was heaven sent?